High Peaks Pure Earth continues to translate the unpublished Chinese language manuscript “The Restless Himalayas” by Dolma Kyab, the work for which he was sentenced to ten and a half years in prison in March 2005. The third chapter of “The Restless Himalayas” is presented below. The preface and first chapter were previously published on High Peaks Pure Earth on the occasion of the “Day of the Imprisoned Writer 2013″. The manuscript is comprised of a preface, fifty seven chapters, concluding remarks and an afterword. Each chapter focuses on a different theme, chapter 3 is all about unity. Bearing in mind that this manuscript was written around 10 years ago, it is remarkable how his ideas precede those of post-2008 Tibet. Dolma Kyab addresses Tibetans directly, something that has a new poignance given the similarities with last notes of self-immolators the past few years who often call for unity and solidarity. For many years, the three provinces of Tibet have failed to progress together in solidarity. To the contrary, through their regional protectionist ways, the three provinces have undermined the progress of the entire people. 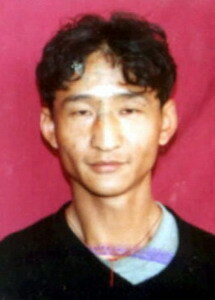 To give some examples, an U-Tsangpa might discriminate against an Amdowa or Khampa; a Khampa may defend or differentiate himself as part of a special ethnic group because of a particularly outstanding person from his region; an Amdowa might lead a group in arguments with U-Tsangpas or Khampas over who is the most exceptional. Even very trivial matters provoke disharmony among the three regions, and because of this, when conflicts occur, each side establishes its own respective stance. But these stances are formed out of a kind of disdain for the other people of the other provinces. This phenomenon exists in the Tibetan communities both inside and outside Tibet. Why is it that we fail to see our own problems, only to instead continue to add to our woes? Could it be possible that the entire nation of Tibet could be pushed forward by such discord and disputes among the U-Tstangpas, Amdowas and Khampas? I invite you to take a look at Beijing, Guangdong and Sichuan – three classic dialectically -distinguished areas of China. How unified they are! Their unified spirit of togetherness, for the sake of their country, is quite admirable. And yet why do we not see the benefits of this? Tibetans must conduct some self-reflection – especially the people of the three provinces of Tibet. Today, our goal is not to sell our wares in a market, with the reigns of a horse in our hands; rather, we are fighting for the freedom of our people. All Tibetans must realise that any discriminatory action taken against one of our own brothers or sisters is an action that squanders our culture, our land and our power. Furthermore, [the discrimination we practice against our own people] cedes a great amount of advantage to our enemies. In fact, this phenomenon partitions our nation in a similar fashion to how Chinese government has divided the territory of Tibet, with the Dangla Mountains effectively dividing Tibet into an East Tibet and West Tibet – how appalling! Tibet is not primarily comprised of Ü-Tsang, nor is it primarily Amdo or Kham. Rather, it is the Tibet of everyone throughout all three provinces. It is only through the reciprocal unity between the peoples of these three provinces, who share a common land and culture, centred on the guidance of our religious spirit, that we can become stronger than ever before. With the power of teamwork and with defined objectives, our probability of achieving success is very high. Or in other words, success belongs to those who set goals and make decisions through teamwork. Therefore, anyone from Ü-Tsang, Amdo or Kham who acts adversarially towards the people of the other regions is an enemy of Tibet – an internal enemy. Anyone in the present day whose patriotism is only expressed through divisiveness not only undermines the cause of Tibet, but he or she is also scattering our power through nonsensical inter-regional quarrelling. Someone once told me that the Tibetans are a failed ethnic group, because U-Tsangpas refer to themselves as the “true Tibetans,” which excludes Amdowas and Khampas; Ambowas believe U-Tsangpas are not fit to be considered Tibetans; Khampas believe that they are the true Tibetans, and in fact possess some classical characteristics of a separate ethnic group. This is true, indeed. Because of the discord between the three provinces, Tibet has become a failed ethnic group; or, the Tibetans themselves have assumed an identity of belonging to a failed ethnic group. As we demarcate borders within our own territory, we appear extremely foolish. It is like when a herder places horses, cattle and sheep onto the same pasture, and the three separate species all demonstrate a discriminatory preference for their own species. But Tibetans must realise that we are not horses, cattle and sheep; rather, we are human beings. Furthermore, we are a rational ethnic group, living according to a shared common culture. We must clearly recognise the detrimental, erratic behaviour displayed by some among us. Let us consider it from a different angle. If a war broke out between the three provinces of Tibet, the winners would be considered heroes, and the defeated would be considered losers. Now, if the general population would approve of this hypothetical scenario, then it would also be valid to say that a man could murder his father and brother, and then be considered an honourable gladiator or warrior. However, I believe, no citizen would dare consider this acceptable – even the bravest of men would not dare say so. This proves, from a different angle, that we are still quite clear-headed. As long as all Tibetan citizens regularly examine their actions as right or wrong by considering the above-mentioned hypothetical situations, we will then realise how much energy has been wasted because of the discord between the three regions. So many of our best and brightest have been smothered through our own ignorant actions, and because of this, it will prove all the more difficult to achieve our goals. Therefore, we must rationally and forcibly integrate the three provinces into a truly great nation. 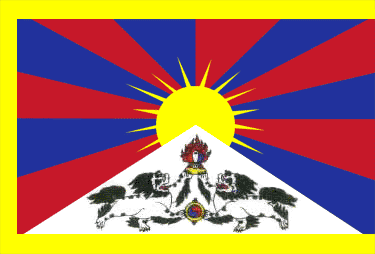 [Unity] is the foundation upon which we can advance to our goal of establishing the nation of Tibet. We must unify not only as one national heart; more importantly, we must consolidate our various capabilities as one. The courageous, the experienced, the technically-oriented, the intellectual, etc. – all must unite. Then, with our unified hearts, all of these respective groups can utilise their unique talents for the establishment and development of the nation of Tibet. This duty has been given to us by the Buddha, and we should feel immense pride as we carry out this great duty. Indeed, each citizen of Tibetan should be obligated to contribute as much as possible to the unification of Tibet. No matter your capability or status, or whether you are man, woman or hermaphrodite, everyone should live and work for the unification of Tibet. Once we achieve unification, we will then emerge an independent actor in world affairs. Even more worthy of our effort, [achieving the goal of unification] would bestow every single citizen of Tibet with the feeling that we have developed into an outstanding ethnic group through greatness of the nation of Tibet. Because an outstanding ethnic group is produced from dual unity. There is no such thing as an ethnic group that is naturally outstanding. In other words, unity is a required condition for the development of an outstanding ethnic group. This is proved by the important roles played in the world community by many countries that have been formed through the unification of smaller entities. If we do not unify, we will never become strong and powerful – even if we possessed the most forward of intellectual thinking or the most advanced technology or weaponry. We would never be able to show the world that we are outstanding and powerful. In fact, [our lack of unity] would facilitate the destruction of our potential for greatness by the hands of others. Unity would provide us with boundless energy. If one were to imagine the three provinces as poorly nourished lands, then unification would represent the waters of rivers or rain. Poor soil, once irrigated by life-giving water, becomes infused with hope. Once there’s hope, all sorts of living things will begin to come alive; all the creatures who once abandoned that land will come scrambling back and begin sprouting, growing and proliferating once again. The importance of unity [therefore] outweighs all other current duties and decides our future missions. No matter whether U-Tsangpas of Tibet [central Tibet], roughly approximate to the Tibet Autonomous Region, or Khampas or Amdowas of Tibet, a far-sighted strategic view is needed to staunch the disunity between us. [Traditionally there have been divisions and conflict between Tibetans of the three regions]. With resolve and bravery, and even with principles of steel, it must be understood why unity is so essential. Cohesion is unity, and unity is success! This is such a self-evident truth! But Tibetans must remember, this truth was not created by means of self-pity or mutual sympathy. If Tibetans became a people of self-pity and mutual sympathy, our unity would never be enough to get started and the trend would once again be towards disunity. And therefore our unity must have iron discipline, and it must be the most fundamental guarantee of our conviction. Going from strength to strength is the outcome of unity upon unity, which is an outlook that no one in their right mind could oppose. In order to affirm the correctness of this outlook, we again shall note that if a married couple is lacking harmony, but if one sympathises with the other or has pity for a child, and therefore decides to become more harmonious and to strengthen the unity of their lives together, it would be pointless. The couple would be unable to live together and the family would eventually fall apart. But if a couple jointly realise what the reasons are for disharmony in the family then it can be a moral lesson to limit the losses and failings caused to the other party. Both sides will continually improve on their shortcomings, and the family will inevitably become more harmonious and prosperous. Although this is only a minor example, it nevertheless closely approximates an indispensable faith in the family within human society, or an important constituent part of society. There are those who think that problems of division within a family can only be resolved through mutual love and understanding. But I can tell you, a family that relies solely on that method still wouldn’t be stable. At the very least you need the understanding of love and principles of iron, otherwise I believe that the understanding of love exists everywhere, and people could casually choose their love from anywhere and our family will be very short-lived. To put it another way, duty without love is not a healthy family. We could also think of Tibet as a big family. All the members of this big Tibetan family must strive to unite with steely resolve. To those who would undermine this goal, we should not draw a hard line. However, we should instead prompt their cooperation through our power–to induce voluntary surrender. Here is why this would work: Internal harmony and unity equate to power. Internal power attracts weaker individuals from outside the group who seek protection. A large amount of weak individuals, once banded together into one organisation, become powerful. This, in turn, injects even more power into the original group. However, there are others who do not wish to unify, or who worry about the ramifications of solidarity. Others have been damaging our efforts to unify all along. Dealing with these people would not be difficult. To deal with them, I believe that we should utilise a combination of civilised, cool-headed reasoning along with a certain amount of recklessness and physical coercion. In other words, we should politely provide them with information in a civilised manner, but also show them how ambitious we can be. This would stop them from continuing to damage our efforts. We should treat them in this manner because humans are innately both rational and irrational. If a person were completely rational or completely irrational, than there would be nothing more to say–that person would be either a robot-like philosopher or a pure animal. However, we must not forget: we believe that although society is man-made, we still retain a certain capacity for wild behaviour. And so, while sometimes oral persuasion and education are of more use than resorting to violence, at other times, the fist can achieve greater effect than the spoken word. And thus, Tibet is a fragmented nation. However, the harmony and unity of the three provinces is an historical inevitability. Tibet’s currently fragmented state is but an incidental miscue, like a meteor that incidentally falls to the earth. Yet the earth naturally and inevitably occupies its own space in the universe. [Similarly,] no outsider can stop Tibet from progressing towards harmony and unity. However, the ignorant disdain between the peoples of the three provinces of Tibet may perhaps greatly increase the time for this historical inevitability to be realised, or even increase the burden that this inevitability must overcome, which, in turn, may cause the situation to devolve into a terrible, incidental situation. But incidental situations are avoidable; inevitabilities, [on the other hand,] are to be followed. Incidental situations are avoided by facilitating the inevitable. To explain it from another angle, the harmonisation and unification of the three provinces of Tibet will bring about the historically inevitable establishment of Tibet, thereby also advancing the development of these inevitabilities and preventing terrible incidents. In the 21st century, we will witness the eruption of a unique kind of revolution. The revolution [I am referring to] is the Tibet Revolutionary Movement that will be precipitated by the harmonisation and unification of Tibet’s three provinces. This revolution will differ from past revolutions in that it will not be started by inciting farmers to extricate themselves from their dunghills, or by the middle and lower class citizens of the cities forming into proletariat contingents; nor will it be the workers destroying the labor apparatus and sending everyone into disarray, as they shout the lie that “We are the leaders of the proletariat!” Nor, still, will [this revolution] send the people into a state of great uncertainty and chaos through violence. Rather, it will be a rational, intellectual revolutionary movement, created jointly by the farmers, herders, city residents, intellectuals and the upper class, which will utilise reason to attack the other side and force them to make concessions. [We must] use our brains to defeat the enemy and force them to recognise our freedom. We will make the other side smile and say to us, “Thank you. The Tibetans have taught us the true meaning of freedom.” However, there is one problem that we cannot ignore: During the course of this great revolutionary movement, which will occur with the unity of the three provinces, there will be some people who lack the rationality or mental preparedness to keep a cool head. These people will inevitably resort to irrational, extraordinary means of attack, perhaps aimed at irrational Chinese. But we will restrain our emotional anger. Restraining this anger will require a jointly-established, powerful organisation. No individual, on his or her own, has the power to constrain his or her emotions in a calm manner, when such emotions are kindled by his or her sense of nationalism or ethnicity. Therefore, if failed to establish an harmonious and unified Tibet, then we would be unable to guarantee the Tibetan Revolutionary Movement would not devolve into that old kind of revolutionary movement. Because of this, the people of the three provinces of the Snowlands must harmonise and unite. I will say it again, in the firmest of tones: No Tibetan should hesitate to harmonise and unite, as hesitation will be our death – because we cannot change the fact that we are our own country, and because we cannot accept the tragic fate of forever living as [another nation’s] colony. Tibet must therefore maintain a steely resolve to unify. During this process of unification, Tibet must be careful to declare its independence to the international community at the appropriate time. Furthermore, we must express in a step-by-step manner our intention to unify not only the three provinces of the Snowland but also the other Tibetan regions. These two concepts are known as “Greater Tibet” and “Little Tibet.” “Greater Tibet” includes both the three provinces of the Snowland and all other Tibetan regions. “Little Tibet” refers to three provinces of Tibet. To state it more clearly, we not only want to unify internally, but we also want to unify all adjunct Tibetan regions. With that said, I’m sure many people will accuse me of being unrealistically ambitious. These people refuse to think critically about this proposition only because they are accustomed to assuming that the Buddha only bestowed Tibet with its three provinces. This area differs greatly from what we maintain are the adjunct regions of Tibet that should also be united and free. Some may even feel afraid when hearing about unification, or feel that it’s a bit too much to bear. It appears that a lack of historical knowledge is truly a very scary thing – enough to scare one into not daring to eat the rice from his own bowl. However, I still believe that if they were willing to study my ideas carefully, I would happily prove [the validity of my arguments] by providing them with my line of reasoning. I will tell it like this: Tibet is comprised of inner and outer regions – just as a rice bowl can only be a rice bowl by having an inside and an outside. Only by having and inside and an outside can it hold rice. Furthermore, everyone has the right to hold their own rice bowl and eat his or her own rice. However, if one were to eat someone else’s rice after eating one’s own, then that would be greedy, wild. Contrarily, if one does not dare eat his own rice, then he or she is simply a weak, starving person. By the same logic, we can look back and gain an understanding of the [importance] of unifying both the three provinces and Tibet’s outer regions. We would certainly not attempt to use a bowl that could not hold rice; and we would certainly not decline our due portion of rice. We must forcefully declare that we will not abandon a single [part of Tibet]; if we are to die, then we will all die; if we are to move, then we all will move; if we are to unify, then we will all unify. As for the issue of harmony and unity, we must repeatedly remind [ourselves] that all citizens of Tibet must not hesitate. Hesitation to harmonise and unite will be our death, as that would mean we have failed to change the notion that Tibet is not an independent nation. It would seem that these conditions have already set out our goals for us. The situation has unveiled some insight before our eyes – namely, that a family’s harmony and unity depend on an authoritative mother and father. [Similarly,] the harmony and unity of an organised group depends on its leaders, and a country or a people would depend on its own internal leadership or ethnic spiritual leader [for achieving and maintaining unity]. Any and all calls for harmony or unity from outside the family, organisation, country or ethnic group are never enough to initiate any kind of internal change, because all individuals in a given society will unconsciously retain their own personal sense of self-recognition. [For example, a person will still recognise someone] as his father, brother or sister, or as a member of his or her ethnic group, or recognise a certain place as his or her country. As a result, if my own people tell me to harmonise and unite, I will harmonise and unite. Proving the validity of this point is very simple: Why is there no trend for all the world’s nations and peoples to unite as one? It is because we all carry with us this sense belonging to our own country or people. Therefore, the world will always be made up of a myriad of “our countries” and “our peoples.” Tibetans must therefore be very clear – we should keep close to us those who are calling for our people to unite. To put it more clearly, who is it who is calling for the harmony and solidarity of our people? I put my palms together and bow down to the supreme great person [whoever that may be]. I wish, through the teachings of Manjushri, that the life-giving rain of the world will perpetually fall on the land, culture and people of Tibet. I wish that all the people of Tibet, through dedicated worship of Samantabhadra, Manjushri and Avalokiteshvara, will achieve the joy of unification. I wish that all the people of Tibet, through adherence to Avalokiteshvara, will achieve unparalleled power. Bodhisattvas would certainly never cower in the face of any difficulty. And since we place our faith in a Bodhisattva, then we, too, certainly should not cower at the prospect of harmony and unity.